Comments: Sharp, thumbnail-sized crystal group of yellowish brown lustrous powellite crystals, the largest measuring 15 x 18 mm in size. 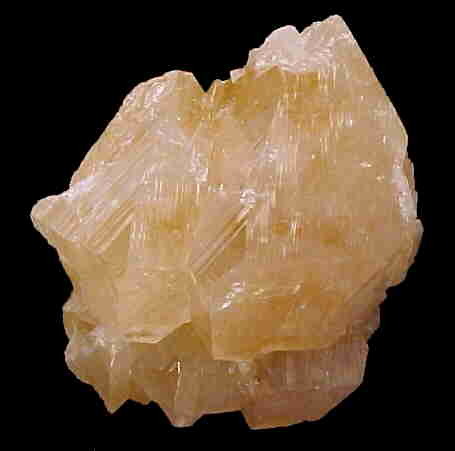 Location: Pandulane quarry, Nasik district, Maharashtra, India. Scale: 20 x 25 x 16 mm.